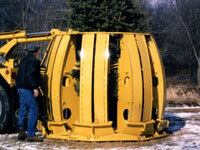 "The Tree Movers Tree Mover"
I had called a bunch of tree movers to help move in some pine trees for a Christmas photo shoot we were doing and almost all I needed to wait for the frost to ease up in the spring before they could dig. 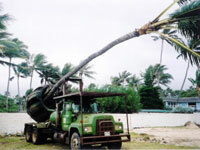 Finally, I found someone with a Stocker Tree Spade. 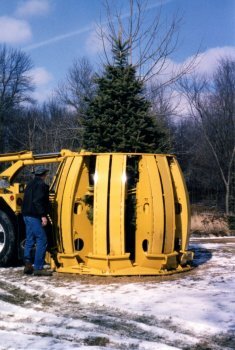 Not only were they able to dig when I need and get trees in place for me, but because of their great service, I later hired them for some other work later in the year. 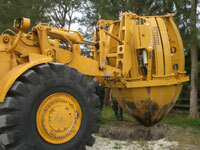 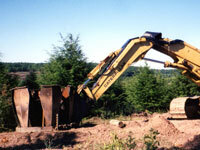 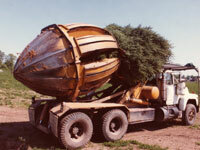 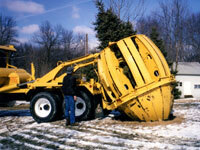 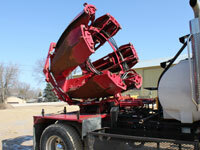 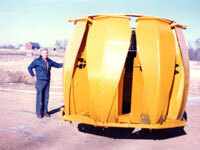 70” - Opens to 59"
The lowest cost of ownership of any commercial tree spade. 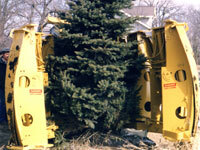 Copyright © 2009-2010 Stocker Tree Spades.